A conviction of assault could have serious ramifications. Depending on the severity of the offense, a conviction may be either a misdemeanor or a felony. A potential employer who receives a record of your criminal background will see an assault conviction. 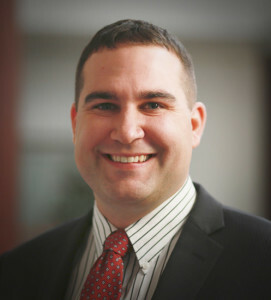 Aaron De Bruin represents clients who have been charged with assault-related crimes. When you are facing criminal charges, it can be beneficial to have an attorney represent you in order to best defend your rights. If you have been charged with assault or battery, contact Aaron De Bruin to learn more about our assault defense attorney services. What will a criminal defense attorney do for my case? Once I have evaluated your case I will provide you an overview of your case. This will describe among other things the criminal law process, how we will work together to navigate the criminal justice system, and what expectation I have for you as a client and what expectations you should have for me as your defense attorney. What should my attorney do to prepare my case for trial? I collect not only the evidence that the government is required to supply, but also gather my own evidence for your defense as well. I will talk to witnesses, look for other video from third party sources, and go to the scene of the alleged offense. I believe your case is far to important not to go the extra mile to insure we know all the facts for your case, to provide you the best possible defense. What do I need to do to help my attorney defend me? No one cares more about your case than you. While we prepare your case, we also prepare your for trial. The one thing we need most from you is total honesty. Remember, everything you and I talk about is confidential. I am on your side. For Drug offense cases, we may require you to look into a rehabilitation facility. I have had client’s charged with drug crimes who unfortunately we suffering from serious addiction and needed help, not jail. When I was able to convince those clients to make the difficult decision and enter a rehabilitation facility it helped create a positive situation that made negotiating their case more favorable. Many criminal cases last over a year. If I can help get a client suffering from an addition on the path to recovery while defending them from their criminal drug charges, their future becomes much more optimistic, and often, so does their case. Changing your life prior to trial or before a plea will greatly decrease your changes of going to jail. We are here to help not only with your legal needs, but also to help you in life. We have seen success stories and want you to be one too. Your attorney’s fees will be based on multiple things including but not limited to, the severity of the crime, the evidence against you, prior convictions, and the amount of jail time your are facing if convicted. For criminal defense services I charge my client’s a flat fee on almost all cases at the start of their case. Therefore, you know how much your case will cost on day one. I also am aware that many people are unable to afford to pay thousands of dollars upfront. In order to better serve my clients I offer a payment plan option. If you’d like to see if you qualify for our criminal defense payment plan option please contact us by using our form, or call us directly at (864) 372-2896. How do you know the attorney you hire is the attorney who will represent you during the entire process? I personally guarantee that I will handle every part of your criminal case, you will not be passed of t a junior attorney. For over 10 years, Aaron De Bruin has been dedicated to representing clients within the criminal justice system. Aaron is committed to relentlessly providing his clients the legal counsel they deserve during the difficult times associated with a criminal charge. He prides himself on the ability to defend his clients and constantly seek the most favorable outcome for their individual situation. If you are arrested for a felony, misdemeanor, DUI, or serious traffic offense in Greenville, SC or the surrounding area, Aaron De Bruin provides aggressive defense of his clients’ rights, freedom, and driving privileges. We have someone available to speak to you 24 hours/7 days per week. Our firm will even arrange in-house financing in certain cases. Call us today at 864-372-2896 to arrange a free no obligation confidential consultation.